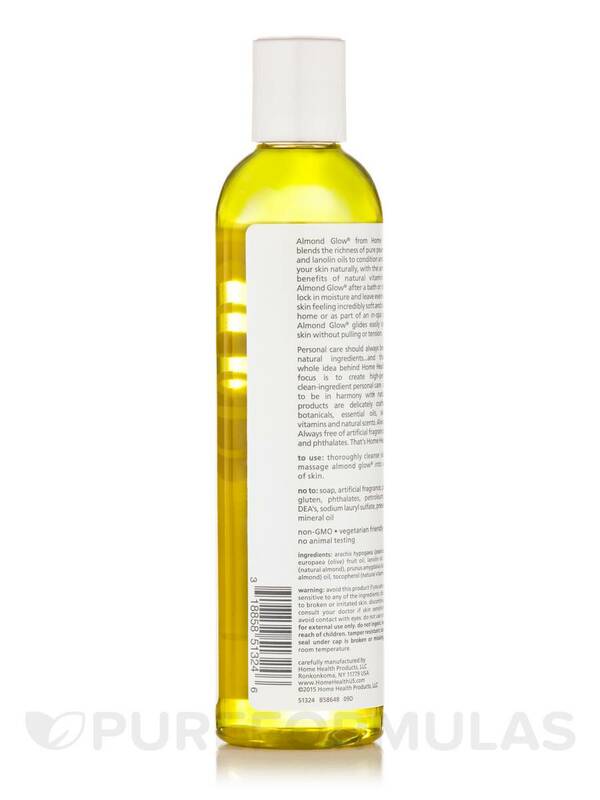 Arachis hypogaea (peanut) oil‚ olea europaea (olive) fruit oil‚ lanolin oil‚ fragrance (natural almond)‚ prunus amygdalus dulcis (sweet almond) oil‚ tocopherol (natural vitamin e). 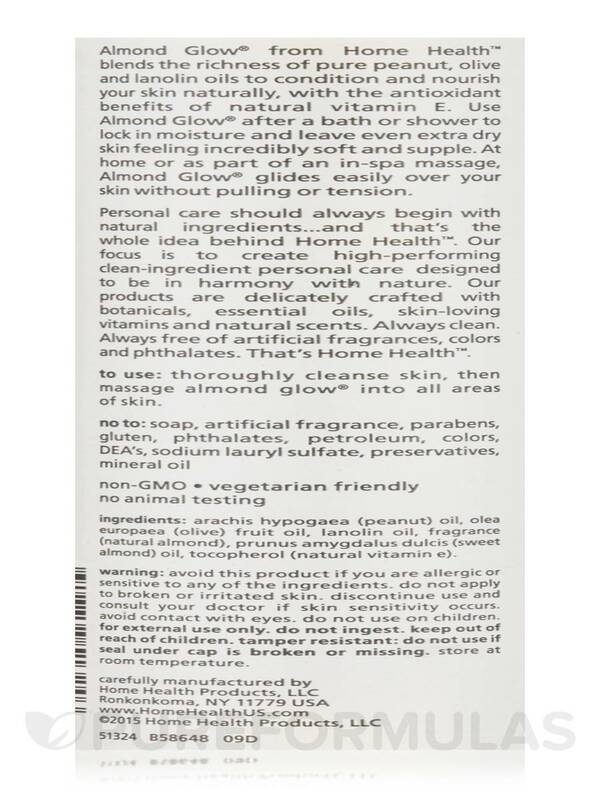 This product does not contain: Soap‚ artificial fragrance‚ parabens‚ gluten‚ phthalates‚ petroleum‚ colors‚ DEA's‚ sodium lauryl sulfate‚ preservatives‚ mineral oil. The problem with this product is that there is a defect in the cap. It open a few times on me on its own and finally just leaked out completely into my gym bag and all over my work out clothing. I'm not sure what the problem is, I had just purchased it and bottle was almost completely full, since you only need to use a little at a time. Hoping to get a new bottle sent to be soon. 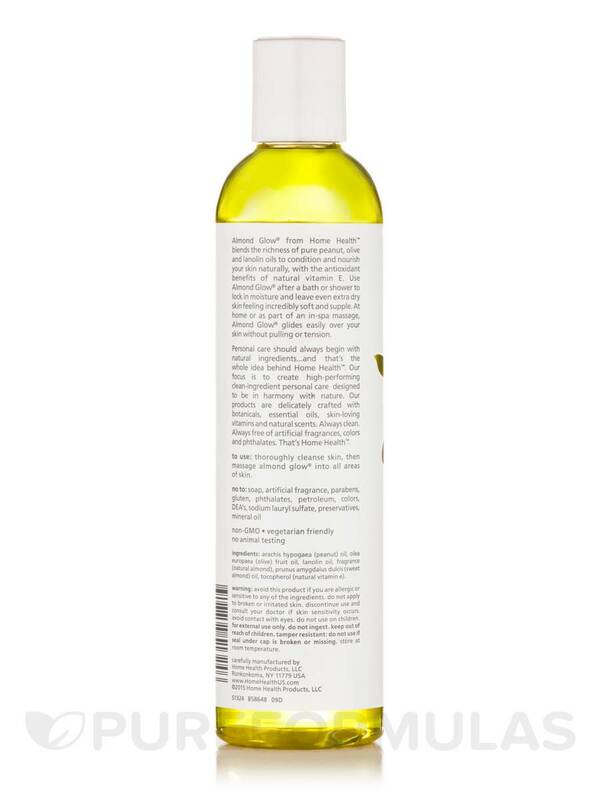 But over all the lotion oil works great, especially after tanning to keep the skin well hydrated. 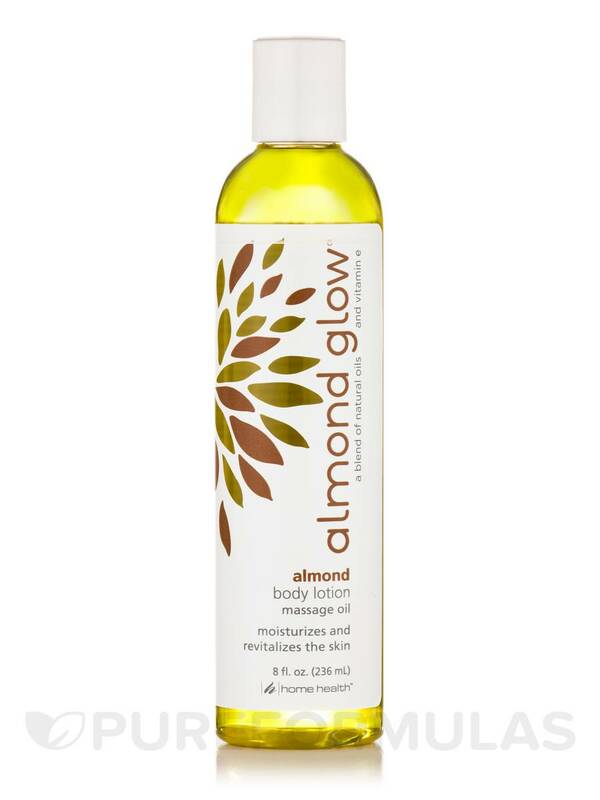 I use Almond Glow Body Lotion by Home Health after a shower to moisturize my skin and it works great. It's a bit oily but my skin looks and feels healthy.